Before you take a chance on Chanel’s Chance or seek Amazing Grace (the perfume), you might want to rethink your decision to spritz yourself or your clothes. That’s because most perfumes are made from toxic, synthetic ingredients that can destroy your health. While humans have worn natural essential oils of herbs, flowers and other natural substances for thousands of years, in recent decades, manufacturers of perfumes have switched to cheaper and increasingly toxic ingredients that have a whole host of health problems linked to them. And, don’t forget the perfumes that are added to laundry detergent, fabric softeners, air fresheners and scented candles as they contain many of the same nasty, potentially health-damaging ingredients. What can you expect if you ditch perfume? You’ll be amazed at how much better you’ll feel. It may not happen overnight as it can take time to undo any pre-existing damage you’ve experienced from using perfumes and colognes. Additionally, it can take some time for these toxic substances to be eliminated from your body and for your body to repair any damage. So, be patient. Most people notice improvements within a month of eliminating perfumes and colognes. I can personally attest that I experienced most of the following health benefits and noticed that my sense of smell significantly improved. My husband jokingly says I have the sense of smell of a bloodhound, with an ability to smell things that seem to go unnoticed by most people. I also noticed my moods significantly improved. Years ago, I observed that after walking through the perfume counter at a department store, I would frequently come home exhausted and start to feel depressed. Once I avoided those stores and stopped using perfumes altogether, I experienced improved energy and much fewer feelings of depression. Most of my clients were shocked at how much better they felt after eliminating perfumes, colognes and other scented products from their daily life. And, most of them reported that when they stopped using their favorite perfume for a while and then smelled it again, they could not believe that they once loved it. Better Breathing: Benzaldehyde, benzyl acetate, ethanol, ethyl acetate, and linalool, commonly found in most perfumes have all been linked to respiratory irritation and disturbances. Fewer Headaches: Chemicals like benzyl alcohol and methylene chloride are known to cause headaches. Improved Moods: Methylene chloride is documented to cause irritability. Improved Muscle Coordination: Benzyl alcohol and ethanol are known to cause muscle twitching and lack of coordination. Improved Sense of Smell: Most of my clients report an improved sense of smell after eliminating perfumes. While I haven’t seen the research on it, I believe that one or more chemicals in perfumes actually impair the sense of smell. Less Pain: Many chemicals in perfumes are linked to pain. Benzyl aldehyde is linked to abdominal pain while benzyl alcohol and methylene chloride are linked to headache pain. Less Risk of Kidney or Liver Damage: Ethyl acetate has been linked to both kidney and liver damage. Reduced Incidence of Depression or Anxiety: Ethanol and linalool are known to disrupt the central nervous system, which may be linked to feelings of depression or anxiety. Reduced Risk of Brain Disease: Acetone and benzyl alcohol are linked to disturbances in the central nervous system. 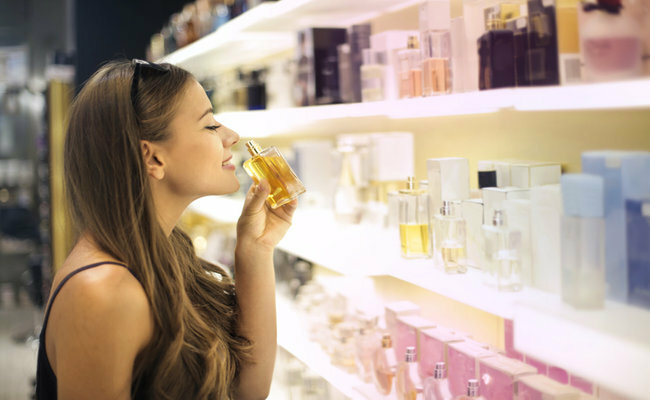 Some perfume chemicals have been linked to Attention Deficit Disorder (ADD), Alzheimer’s disease, dementia, multiple sclerosis and Parkinson’s disease. Reduced Risk of Cancer: Many perfumes contain many cancer-causing ingredients, including: benzyl acetate, limonene and methylene chloride. Benzyl acetate has been linked to one of the most deadly forms of cancer—pancreatic cancer.